I've created a small MyFireFox.co.uk screensaver with some bouncy FireFox logos on it. You can now show the world (or at least the office) that you are using FireFox even when you're not behind your computer. To the right you can see a screenshot of the screensaver. 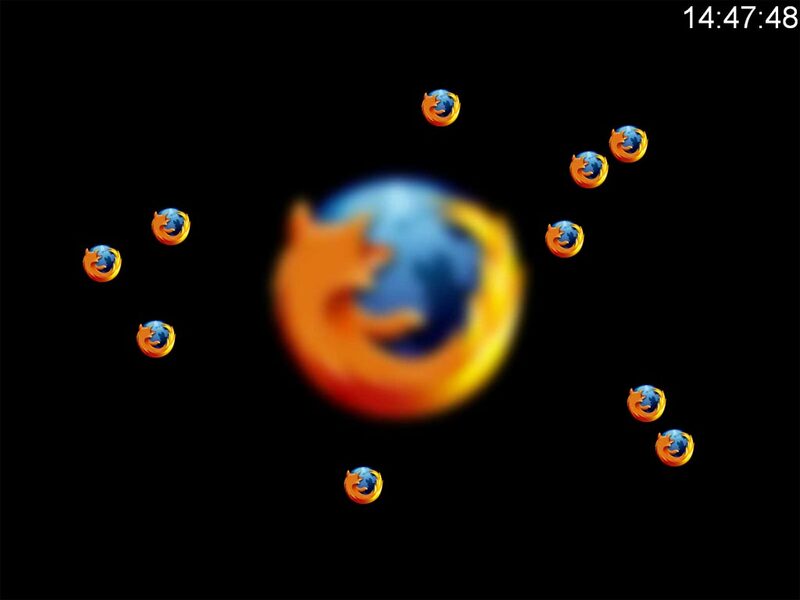 Since the Mozilla FireFox logos bounce in the real screensaver it doesn't really show how hypnotic it is. If there are a lot (and I mean a lot) of images on the screen they sometimes tend to cluster together and not get unstuck any more. Screensaver preview in Display properties isn't scaled properly. There are more free screensavers available at abScreensavers.com. You can download free screensavers from the site. There is a wide choice of sport screensavers to pick from.